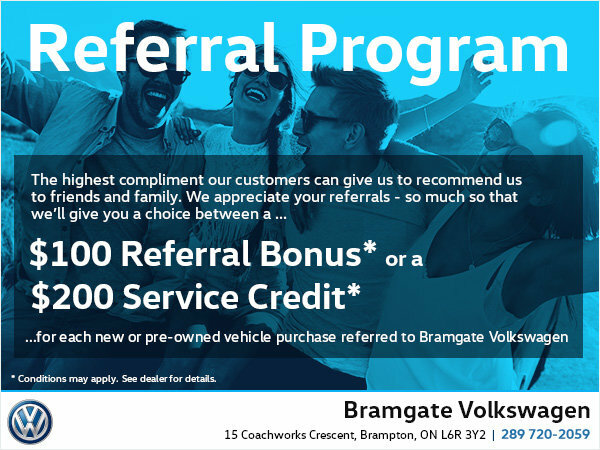 Bramgate Volkswagen appreciates your referral so much that we'll give you a bonus! Every time you refer a friend or family member, you'll receive your choice of bonus: $100 in referral bonus or $200 in service credit! That is our special way to thank you for your loyalty!